Did you know that Confucius once proclaimed that chrysanthemum should be used in meditation? It’s unfurling petals would direct your eyes to a good focal point. The humble chrysanthemum, native to Asia and North Eastern Europe, is also considered the ‘flower of Death’ by many. Why would such a pretty flower have such a scary association? Well, let’s find out. Chrysanthemums come in many shapes and hues, and are depicted either as a closed bud or in full bloom. Its name is derived from Greek, with ‘Chrysos’ meaning golden and ‘Anthemon’ meaning flower. Therefore, the word ‘Chrysanthemum’ means golden floret or golden flower. Beautiful, isn’t it? This fantastic variety of colours and shapes is probably why it is so popular as a motif for tattoos. But the chrysanthemum is more than just a pretty flower. 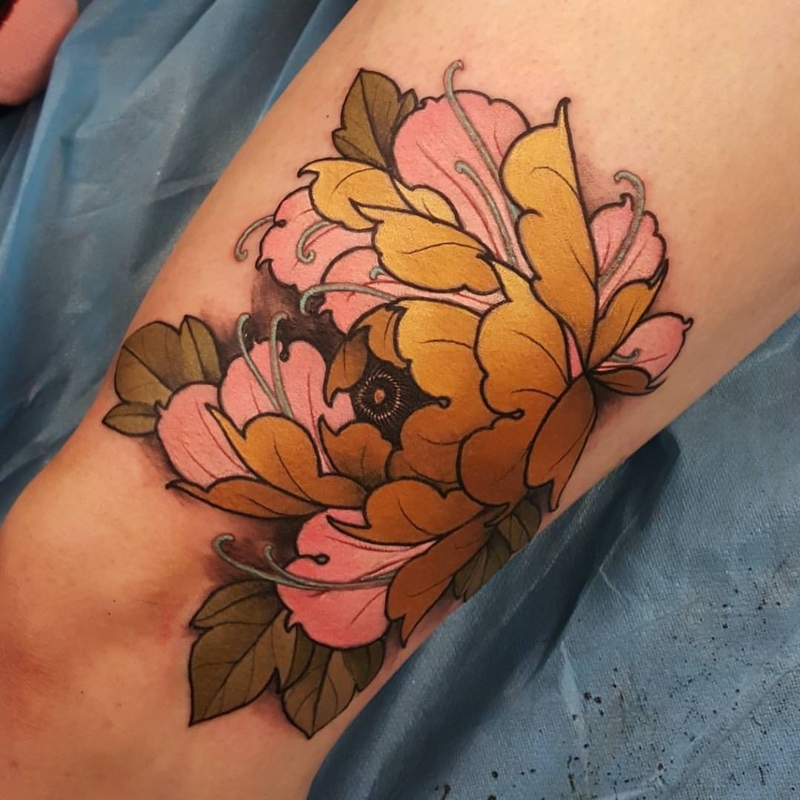 It’s one of the most important and widely used floral elements in tattoo imagery. The abundance of stories and symbology that follow the chrysanthemum is what attracts people to this particular flower. And these associations vary from life and rebirth.. to death. In Japan and China, the flower is revered as a medicinal flower and is a symbol of longevity, perfection and joy. But in European countries, like Italy, it’s used to adorn graveyards. 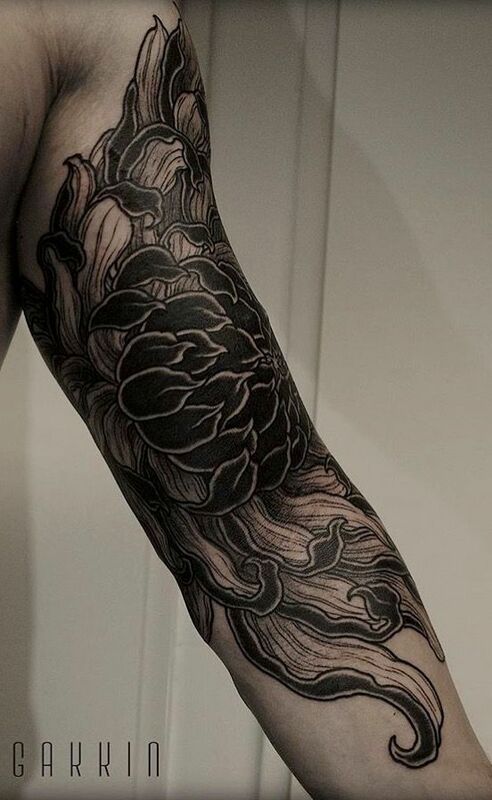 Some say that soldiers and blacksmiths of old would don Chrysanthemum tattoos on their shoulders or shoulder blades. For soldiers, this symbolized bravery and fidelity. For blacksmiths, it used to denote their skills and the pursuit of excellence. Philosophers and poets wore it on their wrists. Chrysanthemums also represent the month of November, making it popular for those born in that month. Are you a Scorpion? Why not get a combination of a scorpion and this flower? Or a lovely floral bow and arrow if you’re a Sagittarian. The flower is also associated with a couple’s 13th wedding anniversary. How romantic, right? 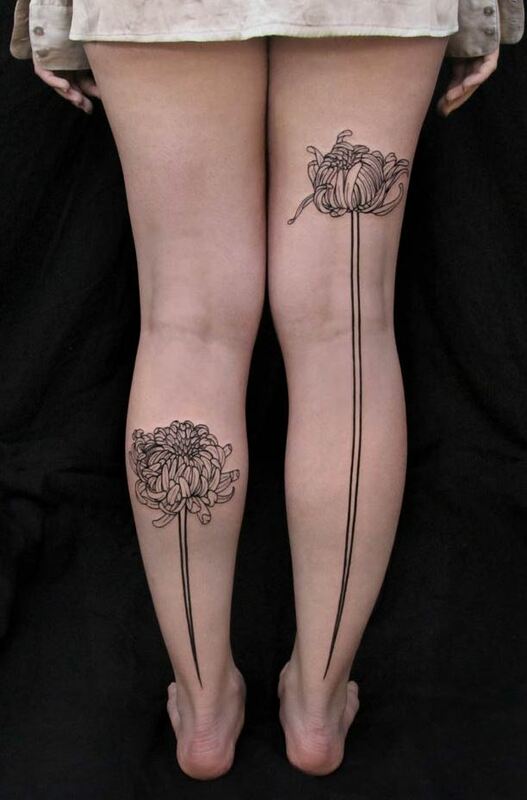 You don’t need to wait that long to get a matching pair of this flower. 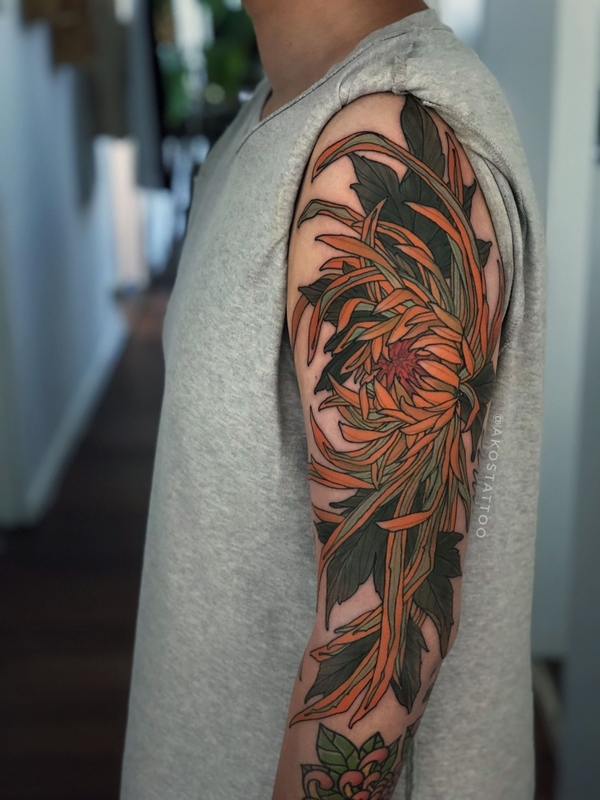 Chrysanthemum tattoos are majorly associated with traditional Japanese tattoo art. The Japanese view the flower as a symbol of longevity and joy. It is also symbolic of the Japanese imperial throne, also known as the Chrysanthemum Throne. In fact, the “Imperial Order of the Chrysanthemum” is the highest order of chivalry that can be awarded. In Vietnam, the flower represents cleanliness of the soul and the mind. It alludes to the spirit of enlightenment and interconnection with the environment. 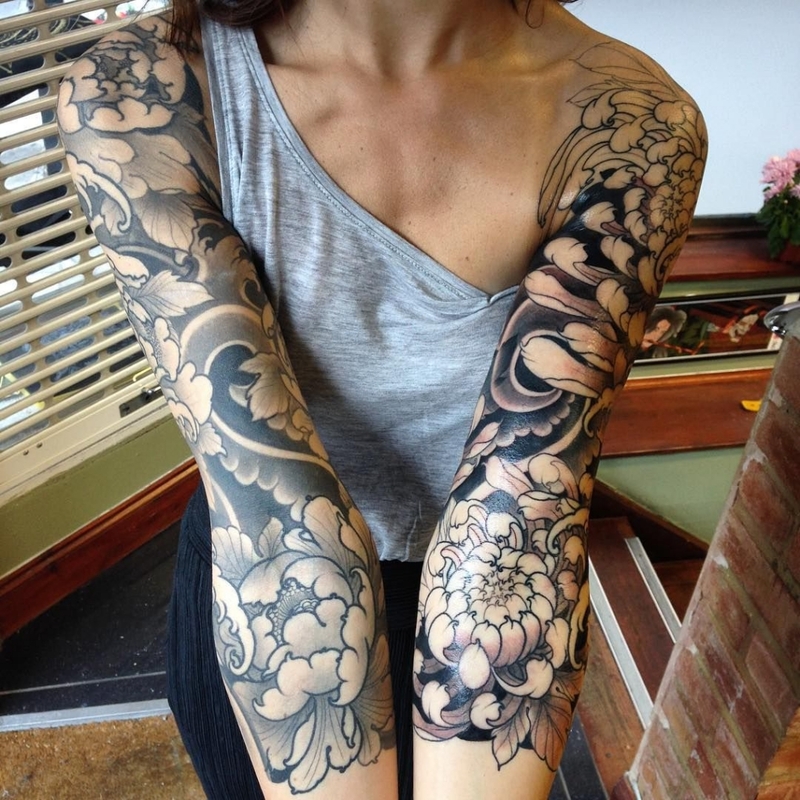 In general, Japanese tattoo art has played a significant role in terms of skill and deeper meaning. 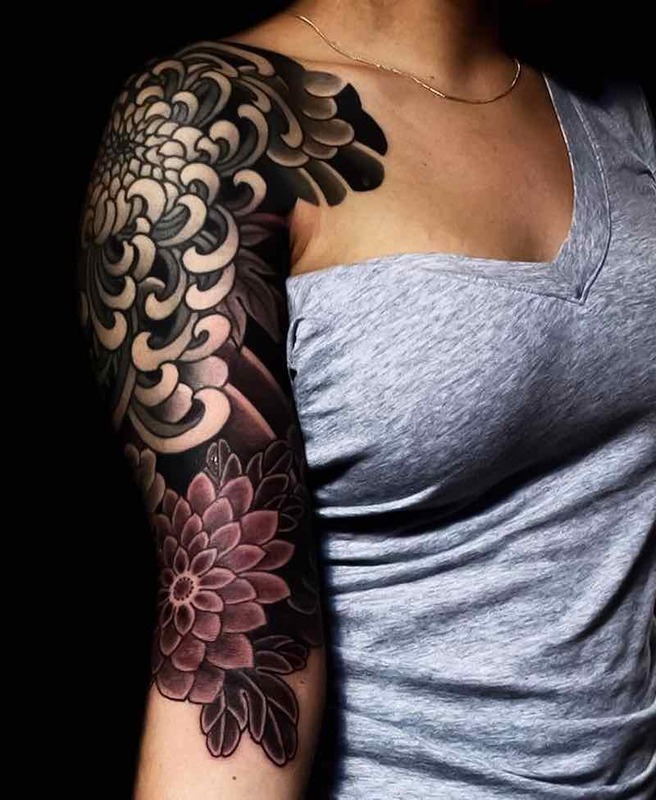 Japanese tattoos feature large flowers with many narrow curved petals diverging outwards from the center. Chrysanthemums are usually paired with dragons, lions, peonies and cherry blossoms in order to signify different things. So we can see that this flower is not just representative of death but symbolises many things. 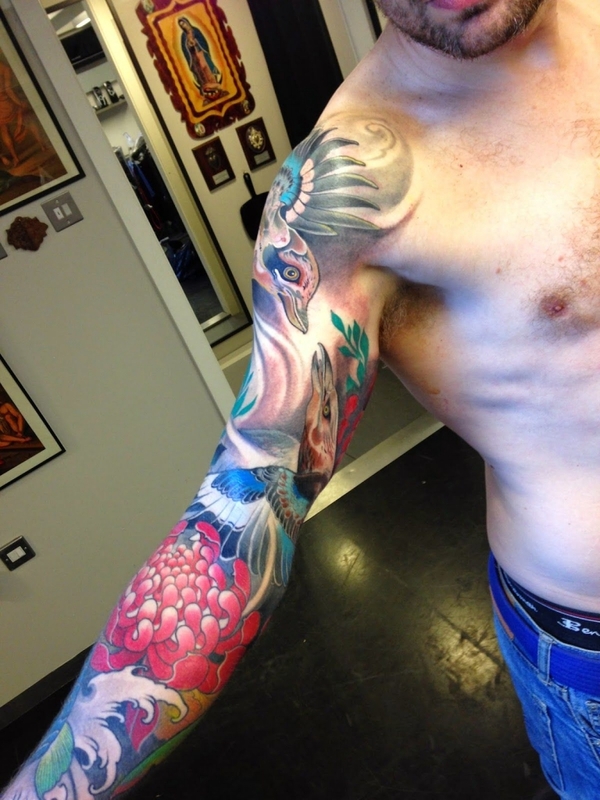 There may be a misconception among some that a flower tattoo is not masculine. A quick browse online can show you that this is, in fact, untrue. 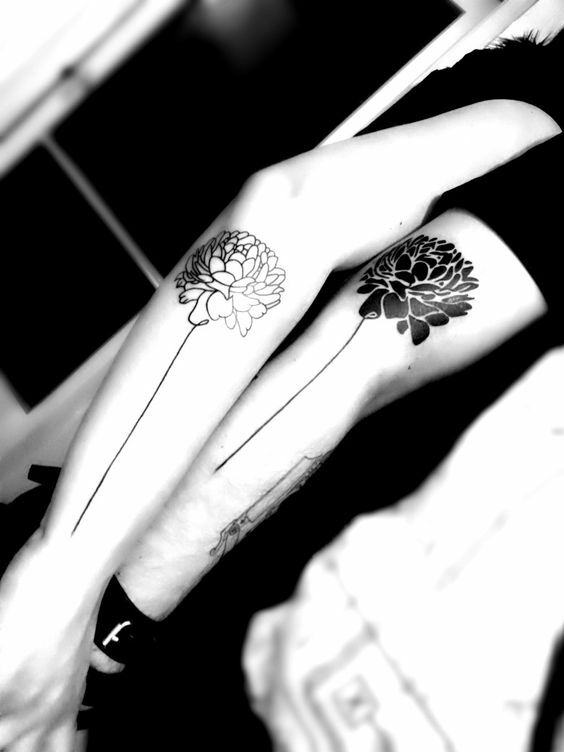 Chrysanthemum tattoos can be made to look masculine, feminine, a bit of both or neither. And there are also a myriad of art styles you can choose from. Some people like large flowers. Some prefer keeping it sweet and simple. You can get a tiny silhouette on your wrist or ankle, just like the philosophers of old would. 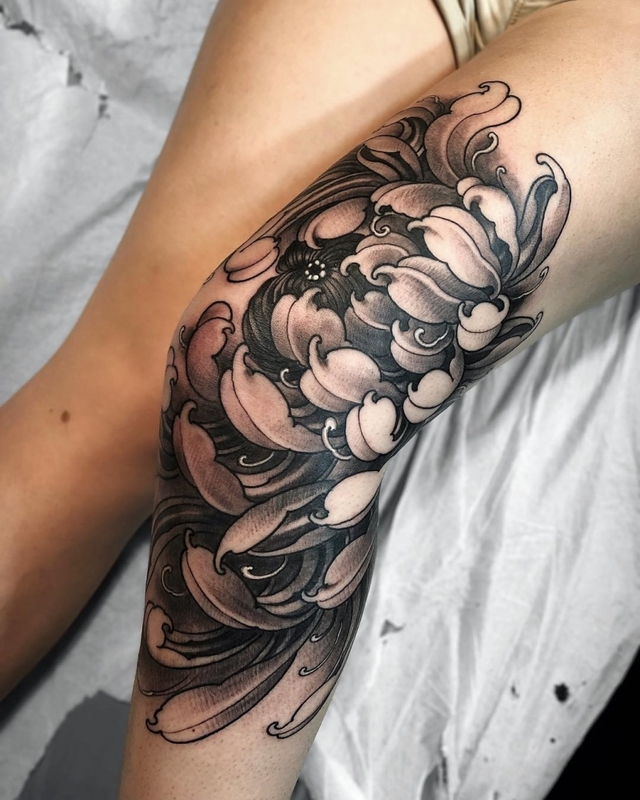 You could get a realistic tattoo and take full advantage of the natural beauty of this flower. Or you could get something more creative and ornamental, like this beauty. Or you could stick to the traditional Japanese style of art, too. 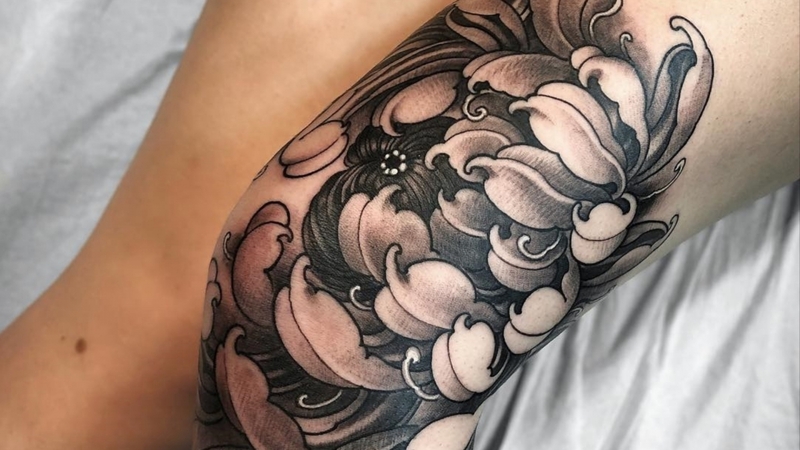 So visit your favourite tattoo artist, have a long discussion about what you want your chrysanthemum tattoo to represent.. and get busy getting inked. Next Post Next post: Celebrities and regrettable tattoos – a match made in hell?